The anti-solar brigade is running out of ammunition after yet another popular myth – that rich city dwellers represent the majority of solar installs – has again been shown to be completely and utterly false. In a submission prepared by the Rec Agents Association (RAA) to the Climate Change Authority in relation to Australia’s Renewable Energy Target review, an analysis of postcode locations of solar electric and solar hot water system installations found most systems (53%) were installed in regional and rural communities with only 43% installed in the major capital cities. Solar power uptake amounted to 13% in the major capital cities of Australia and 21% outside of the major capital cities. Furthermore, the suburbs with the highest income levels did not correspond to those with highest penetration – in fact, the opposite was more likely. “A broad range of communities have accessed solar under the RET scheme and the above figures explode the myth that the RET is supporting metropolitan middle class welfare and is evidence of the RET’s equitable effectiveness,” states the submission. Echoing sentiments expressed by others, RAA also believes the RET review should be extended from 2 to a minimum of 4 years as the current 2 year review increases investment uncertainty for the renewable energy industry. 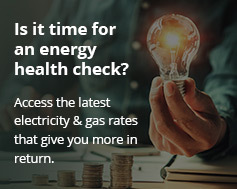 The RAA warns against changes to the RET due to the uncertain nature of the electricity market. For example, while there has been a reduction in mains grid energy consumption in recent years, Australia is about to enter into an El Nino weather pattern that will likely increase electricity use due to warmer temperatures and also reduce the level of rainfall, which would impact hydro generation. RAA’s response to the Climate Change Authority’s Statutory Renewable Energy Target Review can be viewed here (PDF). The REC Agents Association (RAA) was established in late 2011 and represents agents registered with the Clean Energy Regulator (CER) that creates Renewable Energy Certificates (RECs) and other environmental certificates.